I woke up with a splitting headache in Sussex countryside. That's what living in central London gives you - a severe allergy to fresh air. Sunday, I am told, is car boot sales day in the countryside. When one person's clutter turns into another person's treasure. No harm in getting stuck in for some new kitchen goodies, I thought. Half an hour of sifting through dusty rubbish later, I came across a sweet square dish and inquired about its price. "10p", said the seller. Not used to penny bargains, I blurted out: "Are you sure?" To which he replied incredulously: "You want to pay more for that?" I scurried off with the bowl and wondered what I would fill it with later. A morning at the car boot sale followed by a two-hour journey home meant no time to go food shopping. I would have to discover an old treasure in my crowded freezer. 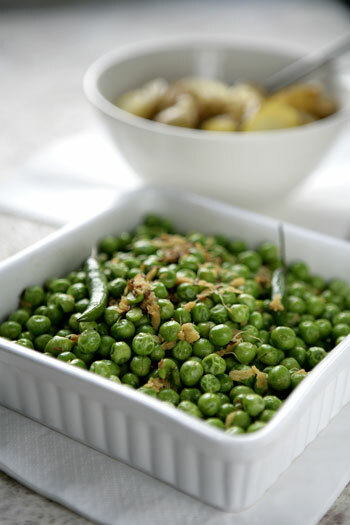 Masala Matar - sauteed spiced green peas - came to mind. Made with a bag of fresh frozen peas, this was the perfect side for our rump steak and sauteed potato dinner. 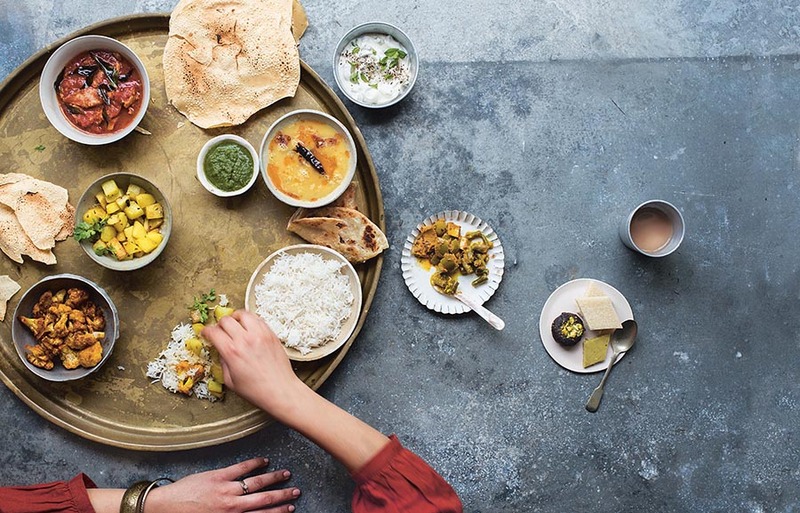 Equally delicious with an Indian meal too. Heat the oil in a frying pan and grate the ginger. When the oil is sizzling hot add the asafoetida, the whole cumin and the grated ginger. Fry for about a minute until the ginger goes pale brown. Then stir in the frozen peas with the green chillies, red chilli powder and salt. Stir for two to three minutes until the peas are cooked and the water in the pan has evaporated. Serve hot or cold as a side dish. Perfect side dish or snack I think. And I love the square dish! I can’t believe you got it only for 10p. Great find. mmm this sounds gorgeous! I love the spice combo! will definitely give it a go! woke up with a splitting headache in Sussex countryside. Thatâ€™s what living in central London gives you – a severe allergy to fresh air. Ha ha! I can identify with being astounded at something that’s so inexpensive. And the peas look just like what we were used to as kids! Sounds like a great recipe for peas. Frozen peas are surprisingly good and much easier to come by than fresh peas. I look forward to giving this a try. A pretty dish for 10p and a yummy side in 5 minutes! Rocking! Hilarious – to think dear namesake , that you’d even question a bargain ?! the peas look yummy -sadly though no fresh peas available now so shall have to make the dish with frozen ones . I’m still laughing , mind you! Would go rocking with bhajias and farsan!